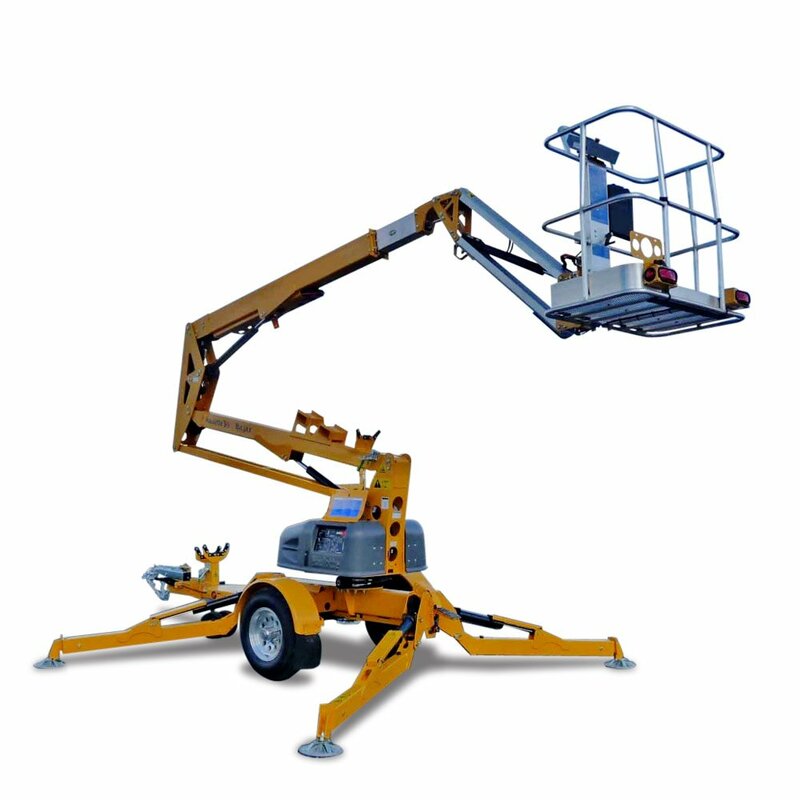 Our range of portable cherry picker and trailer mount boom lifts are ideal for regular access work. Easy to transport to site they eliminate the cost of hiring and transporting booms. Once on site they are quick to position and easy to setup. Stabilisers safely level the boom to allow operators to safely use the platform. 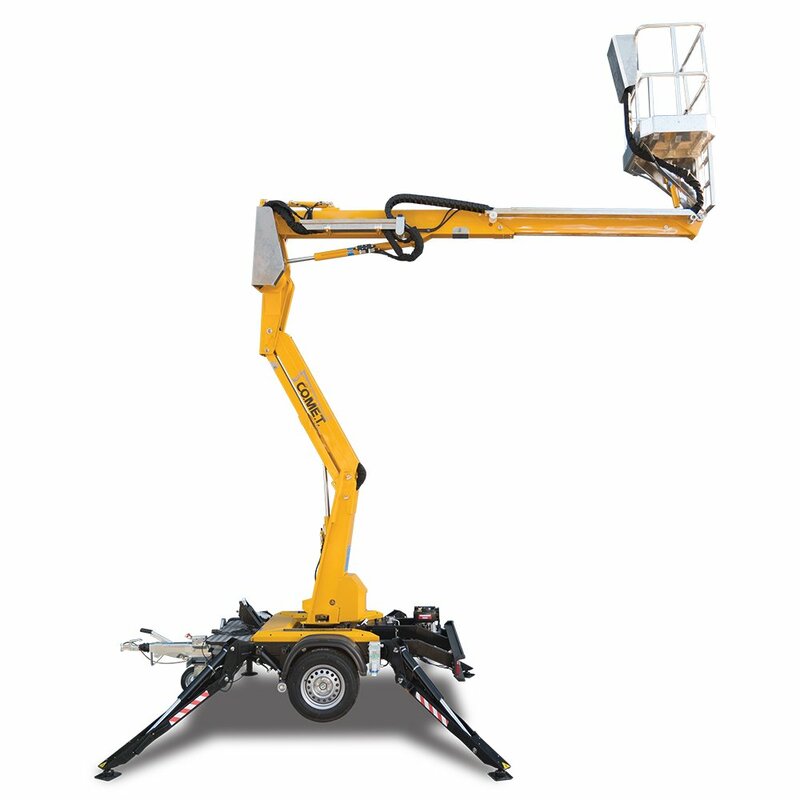 Comet trailer mounted boom lifts are Australia’s most compact trailer boom. Capable of being towed by most mid-sized sedans, they offer a length of only just 3.10 metres. 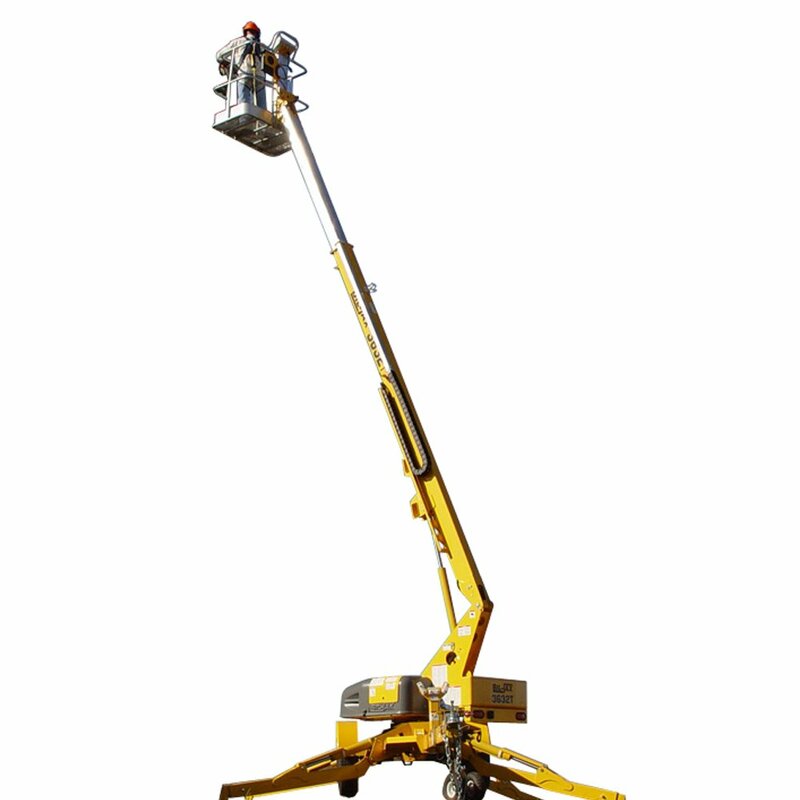 This is much smaller than any other cherry picker on the market. A 12 metre working height makes them ideal for most working at height applications including maintenance, signage, painting and electric. Available in diesel, petrol, battery electric and hybrid models they can be used for both indoors and outdoors use. Haulotte trailer mount boom lifts are ideal for use at working heights between 12 and 18 metres. Compact and lightweight, these cherry pickers can be transported to site for use both indoors and outdoors.